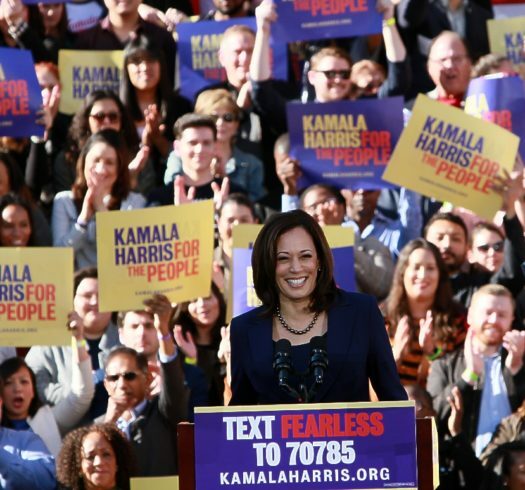 Oakland this week as she officially launched her 2020 presidential campaign. on the line like never before,” Ms. Harris said. White House. She addressed issues facing people of color. him, because of his race,” she said. drastic repair. Let’s speak that truth,” she added. included focus on women, particularly the issue of equal pay. the whole of society benefits,” she continued. Speaking up and speaking out, she says, is so very American. “These are not ordinary times and this will not be an ordinary election. But this is our America,” she said.